The Museum completed processing our Pamphlet Collection over the past summer and shared the finding aid online with funds from the Gladys Krieble Delmas Foundation, and has now completed item level cataloging for 500 highlights from the collection. 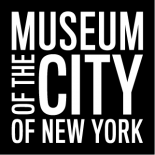 The pamphlet collection contains printed materials from the late 18th to 21st centuries on a wide variety of topics: history, museums, commerce and economy, and New York City infrastructure, neighborhoods, and landmarks. One of the particular strengths of the pamphlet collection is the fact it holds publications of some lesser know organizations in the city, such as the the Community Documentation Workshop at St. Mark’s Church-in-the-Bowery. The Workshop was founded in 1975 under the direction of Arthur Tobier to record and publish oral histories of residents of Manhattan’s Lower East Side. In 1976 the Workshop published the account of Minnie Fisher, who immigrated to the United States in 1914. Most of the Jews who fled pogroms lacked resources necessary for immigration, so organizations such as the Hebrew Immigrant Aid Society (HIAS) formed to address their needs. In addition to their main headquarters at 229-231 East Broadway, HIAS established an office on Ellis Island to provide translation services, counsel to prevent deportation, obtain bonds to guarantee employable status and lend the $25 landing fee. Fisher and her family settled on Ninth Street at the intersection of Avenue C. The immensity of the city impressed her. The political meetings that occurred at Union Square and the labor protests that took over the city’s streets galvanized her. This entry was posted on February 21, 2017 by Lauren Robinson in Digital Project, Manuscripts and Ephemera, Photo Archive, Photography Collection, Portrait Archive and tagged Activism, Immigrants, Immigration, Labor unions.